A mountain explorer who has learned to live off the land near the top of the Mountain. Burly, strong and well-adjusted to the harsh weather conditions, he is very territorial and is known to throw a trap or two off the summit. The Mountain Mouse can only be attracted with Chedd-Ore Cheese. Chedd-Ore Cheese is obtained by smashing boulders in the Mountain location. No Charms are required to attract the Mountain Mouse. Hunters can encounter the Mountain Mouse only in the Mountain location. The Mountain Mouse drops Faceted Sugar and Iced Curds as loot which are used to craft Abominable Asiago Cheese. 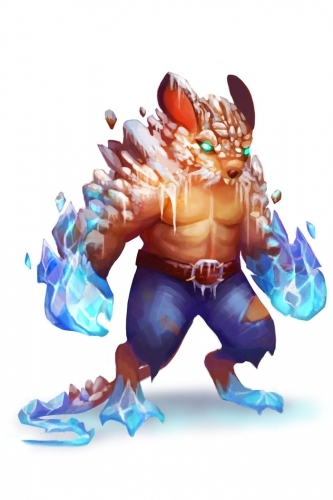 7 November 2017: The Mountain Mouse was introduced as part of the Mountain overhaul. 17 October 2018: The Mountain Mouse changed mouse groups from Indigenous Mice to Mountain Mice. This page was last edited on 6 December 2018, at 20:38.